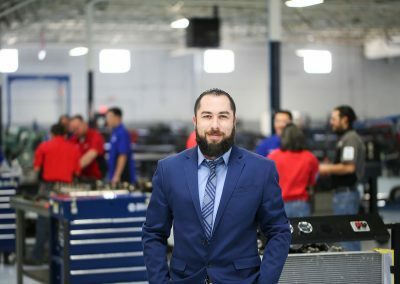 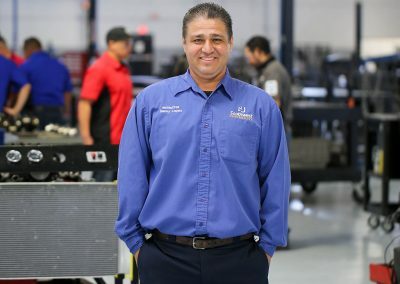 The Associate of Applied Science Degree in Automotive Technology Program is designed to assist students in gaining the necessary skills and abilities to work in a mechanical environment. 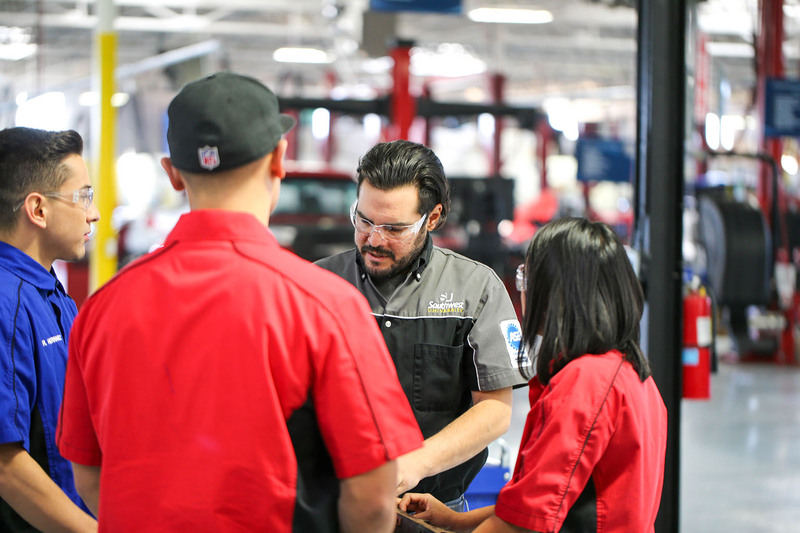 Students will learn the basic preventative maintenance procedures for gasoline engines, brake systems, transmission, electrical systems, transaxels, diagnostic equipment, steering and suspension. 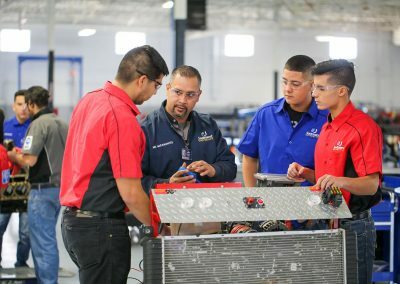 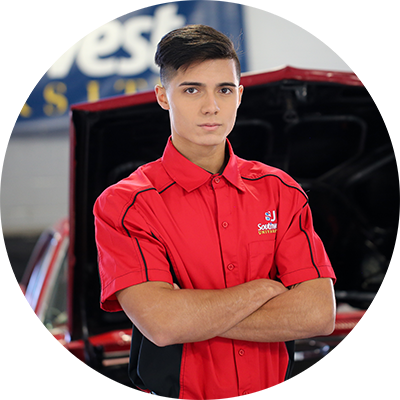 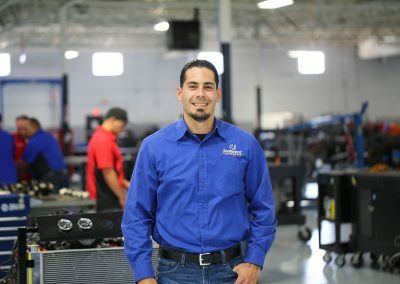 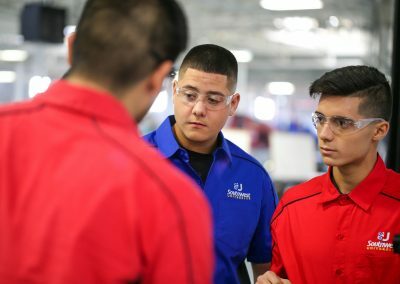 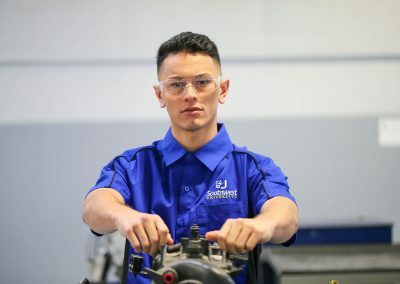 Students will gain experience working with domestic and import vehicles and gain experience working with computer diagnostic systems and HVAC. 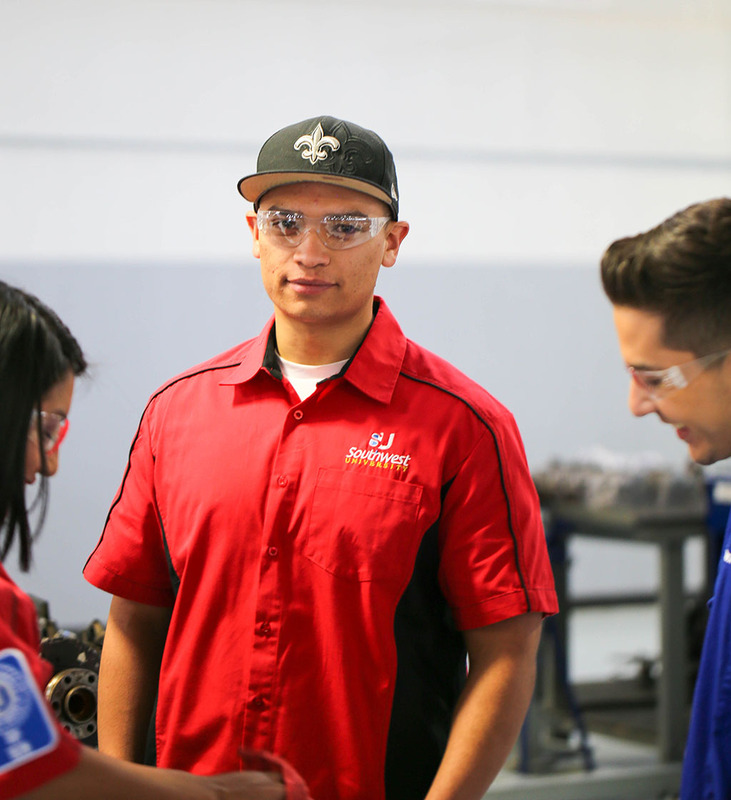 Students who complete this program will be eligible to work as an entry level mechanic. 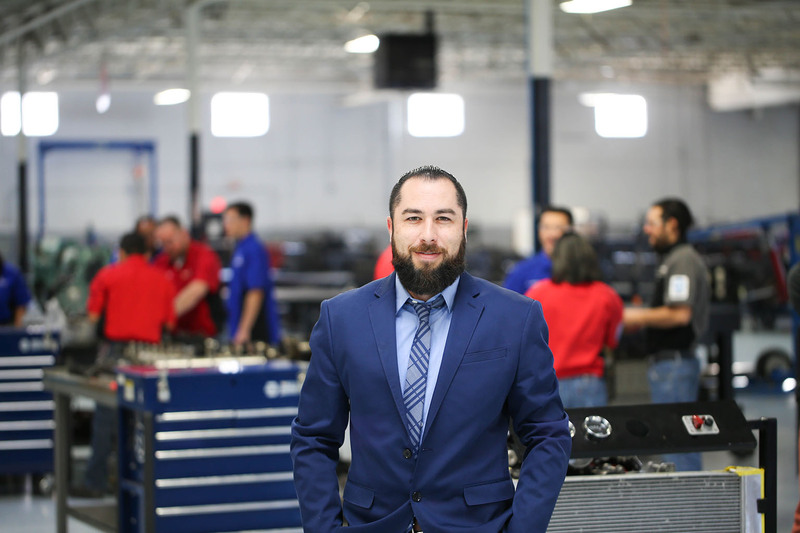 El Paso has proven to be an international transportation hub. 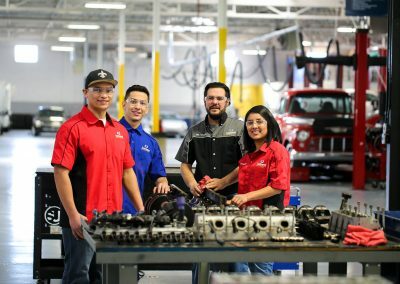 The diesel engine is the workhorse powering the nation’s trucks and buses, due to its delivery of more power, its efficiency, and durability. 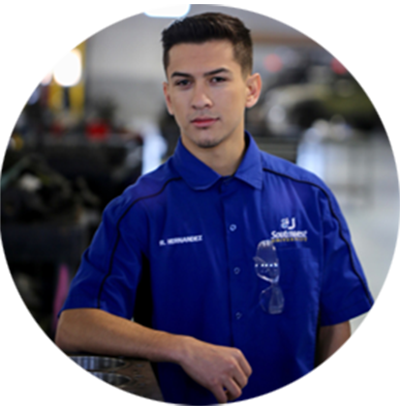 Diesel Technicians repair and maintain the diesel engines that power transportation equipment such as heavy trucks, buses, and locomotives. 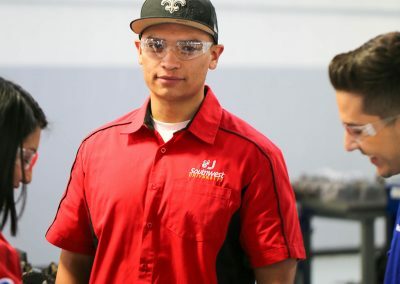 Students who enter the Diesel Technician school are immersed into a hands on education, where they will learn the skills necessary to gain employment and career growth in the Auto diesel field. 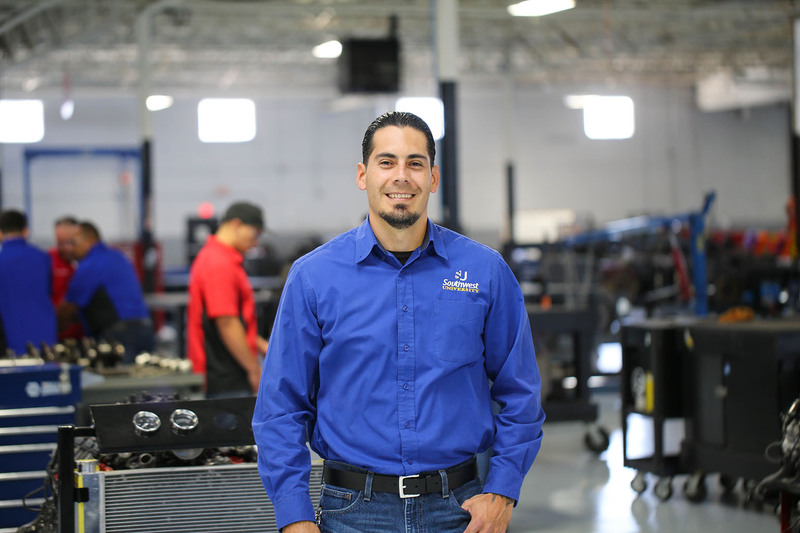 Auto diesel mechanic training with today’s technology! 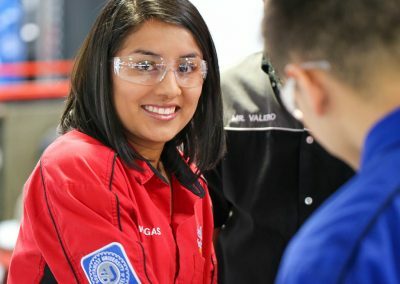 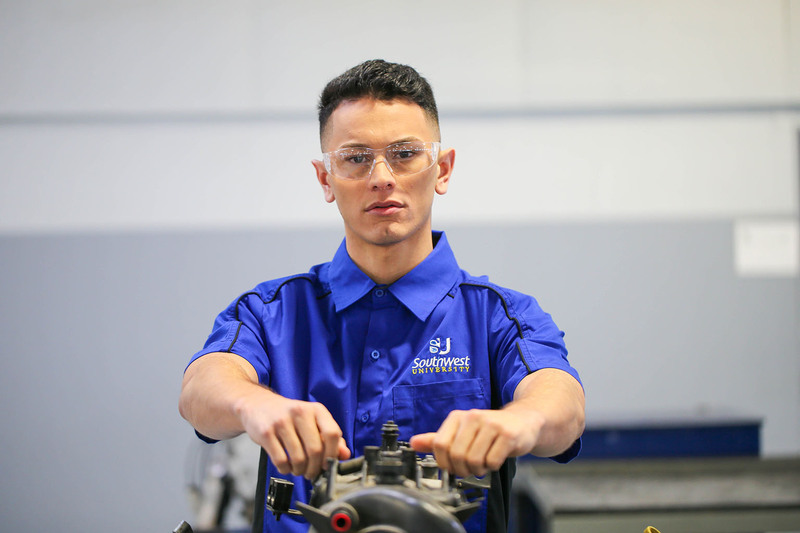 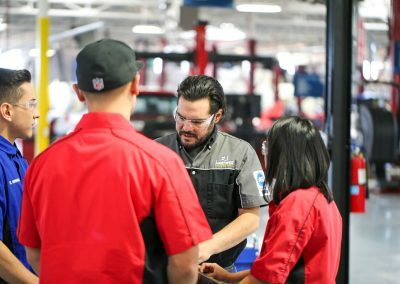 Southwest University’s automotive and diesel programs are the best in el paso. 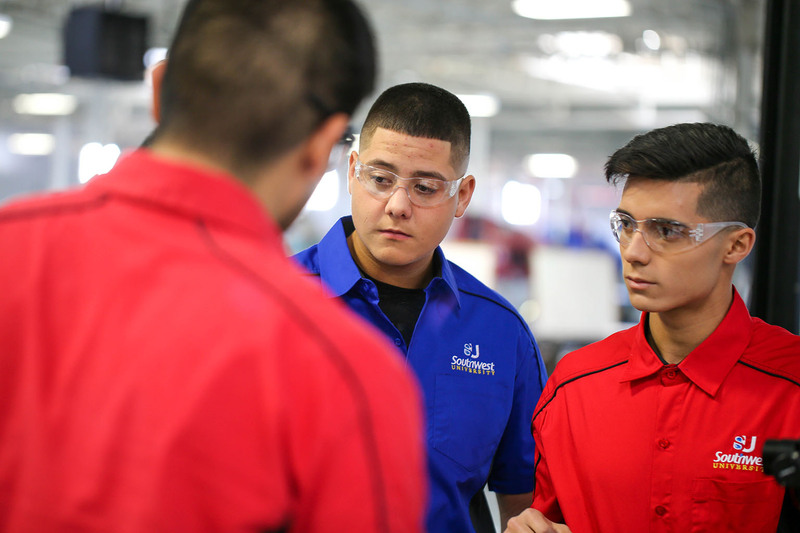 80% hands-on, small classes, interactive training, fun and friendly environment..